wherever in the world you may live, whatever your job you do, religion you embrace, whatever your beliefs about life and society are, you must certainly agree that humanity as a whole has reached a very critical point, we humans are standing right now, at this very particular era, at a decisively important crossroads in our planetary life path. On one hand, the global situation threatens humanity with deadly hazards and puts our spiritual evolution in danger! On the other hand, the conditions for the great awakening and shift in consciousness that will transform and evolve Earth into a higher spiritual and vibrational frequency seem to come to maturity. As a matter of fact our world faces simultaneously a multiple and intense crisis, at economic, political, environmental, energy, cultural and existential level, which peaks every day more and seriously jeopardizes all beings living on our little Earth. Many people believe that for all that growing global problems, responsible are some dark supernatural forces seeking either to degrade the spiritual evolution of humanity or to cause a Third World War or even wide scale destruction. They believe it is hidden behind this crisis conditions their ultimate purpose to reduce the planet and humanity to a status of slavery and obedience to a political, economical and technological tyrannical global elite. Other people, also, believe that the human greed, cruelty, ignorance and separation are the causes, for a negative planetary karma, and thus are responsible for all these negative situations that appear to be spreading fast in our world. Finally, a third group sees the evil threaten us either as a spiritual test imposed to humanity in order either to demonstrate its faith in God and choose Him or not only by pure free will or as an evolutionary test which the intelligent universe imposes on human beings, to prove that they can transcend the shortcomings and negative characteristics of this physical plane and evolve to a higher spiritual level. The New Earth Network bearing full responsibility for its words, states clearly that all three versions hold true simultaneously! However, it is ultimately not so important what we believe, but rather what are the practical steps we are willing to take to actually help ourselves and mankind to overcome the major hazards that currently exist. In contrast to all this global negativity, also a large global shift in consciousness takes place. Under the direct influence and guidance of the Cosmic Forces of Good, a huge number of our fellow citizens embrace the path of love, unity, spirituality and light with increasingly rapid pace. 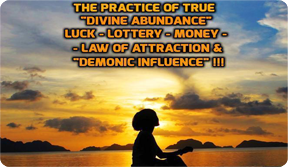 Millions and millions around the world have already an increasing interest in spiritual knowledge, meditate, pray, develop psychic abilities, engage in energy techniques and training or in holistic healing practices and in general their consciousness is awakening. Several millions of people are developing honest, mutual beneficial and healthy human relationships, offering selfless service, fighting to protect the environment, to eliminate separation, hunger, violence and exploitation in the world. Several millions of people are embracing the highest human values ​​and consciously choose to emit only positive thoughts and feelings. They envision a dynamic new spiritual world, unity, love, peace, freedom and abundance. These people are either consciously aware that they are inspired and guided by higher spiritual forces, or ignore it for the time being and consider it merely some kind of personal intuition-impulse. All these luminous people constitute a very powerful rapidly growing “critical mass”. They form a wide global community of light workers of coherent vibration, which in the near future will have the opportunity to cancel forever all evil and negativity on Earth, and finally launch our world to a higher level of evolution and vibration. The New Earth Network is addressing to all of you luminous people that constitute this rapidly growing “critical mass”; it is a spiritual network of light and positive energy, created by dictation and assistance of the Higher Spiritual Forces, aiming at contributing to the final great victory of the Light and the eventual spiritual evolution of humanity. By joining the community of the New Earth Network, you become too a luminous unit of this planetary network of light. 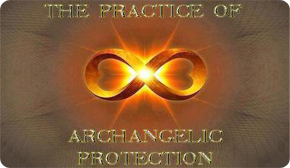 This spiritual network is being weaved by the Cosmic Forces of Good with the intent to facilitate an awakening for all humanity achieving eventually the much desired spiritual and vibrational shift. Be aware that you join our community, without any kind of obligations attached, only by your free will and pure desire to offer and be part of this global wave of awakening. Through New Earth Network you may participate in a series of luminous projects in co-ordination with thousands of our human brothers and sisters around the world. receive regular announcements and information about the activities and the specific objectives of the New Earth Network. exclusively receive deep esoteric analyses of the current developments in the big planetary issues as well as critical esoteric analyses of the meaning and purpose of the ongoing battle between the forces of Light and the forces of darkness. exclusively receive unreleased esoteric texts of the ancient Greek teaching of “Forces of Light” as well as of Master’ s Greek (see Identity). participate in missions for the planetary awakening and healing through specific collective visualizations and inner energy techniques, dictated and given by the Higher Spiritual fields (you can enhace your ability to carry out effectively such practices a great deal by taking up the training offered by Morphogenesis System). participate in the Planetary Solidarity Centre. 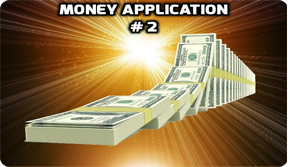 You can start your own project of selfless service; you can ask and find support from the members of our community or you can support projects of others which you find interesting and suitable for you. 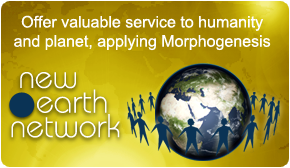 Find more about the quality and spiritual depth of the Knowledge provided by the New Earth Network, as well as the purity of the Higher Forces that inspire and guide its operation by reading the key-texts on planetary service, which cover a wide range of critical issues concerning the progress of humanity and the required attitude of the spiritual people.